Photo by Jason Vorhees, Macon Telegraph, August 17, 2014. Learn to use your hands to make things you love. Join us for laughter, good times and personal growth! 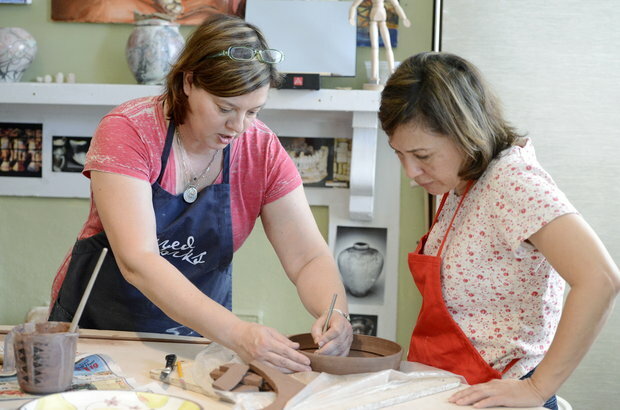 Whether you are a beginner or an advanced potter, anyone is welcome to join our classes. Wear old clothes and bring a towel. Spaces are limited, so please contact us to reserve your space. ALL classes are by appointment. No walk-in spaces are available. There is currently a waiting list for several of our popular time slots, however we will try to accommodate anyone who is interested in classes. Cost is $36 per class, payable at the beginning of each month. Each weekly session lasts two hours. 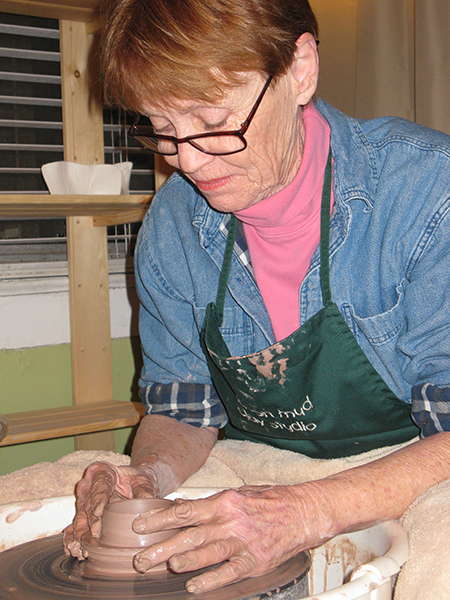 There is a nominal glaze/firing fee per piece.